Picture the scene: you’re in the office one afternoon, counting down the minutes until the end of your shift. You want to get through the rest of the day without any unpleasant surprises, which is when your manager tells you about the new tracking app they are installing on your work phone. For many people, the biggest concern is likely to revolve around your privacy. Tracking apps are increasingly common, particularly in haulage or delivery firms reliant on drivers’ punctuality, navigational skills, and efficiency. In 2015, Irish firm UPC became involved in a dispute with its workers due to the GPS tracking system they wanted to integrate into their everyday operations. They were insistent that it was to help them make up-to-the-minute decisions based on real-time data, rather than having to call workers and identify their positions in a slower, more traditional way. During the resultant court hearing, the ruling ultimately went in UPC’s favour, due in large part to the company’s commitment to ensuring proper, ethical usage of the GPS tracking system. Workers were concerned about their privacy, and that the technology would ultimately be used to spy on them, describing it was “a form of Big Brother and a step too far”. Many of us will no doubt understand this, and have surely experienced confusion at the number of apps or websites requesting your location. With GPS tracking apps, the vast majority of businesses want to make their and their employees’ work easier, boosting productivity in a more streamlined way; these will follow proper rules and regulations regarding the integration of such technologies into their workers’ routines. However, one past cases showed the weaknesses in GPS tracking in the workplace – and that some privacy concerns may be legitimate. In 2011, an employee was fired after his managers discovered discrepancies in his fuel expense claims. In the end, though, it was the business that was found to be in the wrong: they had installed the GPS tracking system on the employee’s vehicle without telling them, which was found to be a potential breach of trust between them and their worker. The employer was made to pay 40,000 EUR in compensation. The legality surrounding employee tracking is still something of a grey area, though as the aforementioned cases demonstrate, the judicial system’s perspective can sway in either direction. A business must be able to show that they have a good enough reason to justify their integration of tracking technology – and they absolutely must not monitor employees outside of work hours. Across Ireland, businesses may be concerned about their workers’ behaviour beyond the office, company vehicle, retail outlet, etc. Perhaps they believe a particular employee may be leaking sensitive information to a competitor, drinking heavily on a nightly basis (thereby affecting their performance during the day), or indulging in other activities that could be at odds with their work. However, said businesses cannot use GPS tracking to oversee their employees’ behaviour outside of work. If they want to install a monitoring app on a personal phone, employees will have fair concerns that their managers plan to keep tabs on them on their ‘off’ time. An app would have to have the ability to be disabled, safely eliminating the danger of surveillance continuing throughout the evening or night. The same is true of a GPS tracking app installed on a work phone, or in a personal vehicle used for work-related purposes. 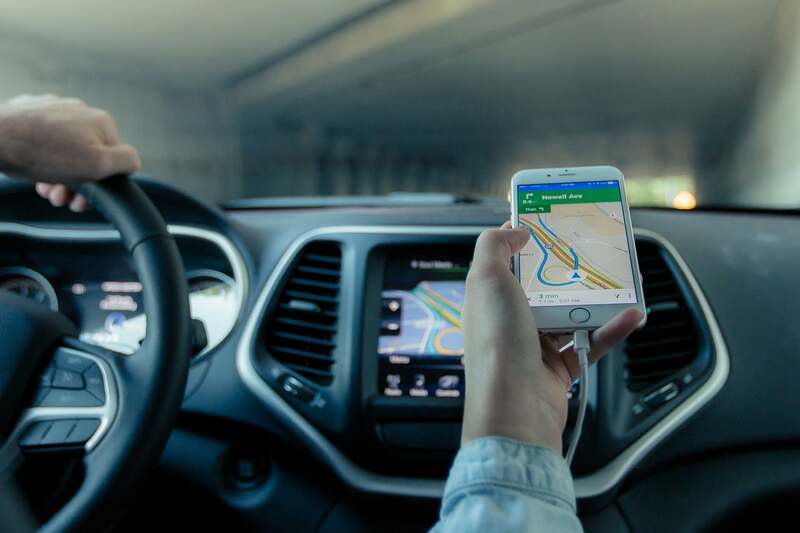 For example, if a delivery driver ferried packages in their own car or truck, a business might want to use GPS software to stay updated of their location and advice customers when specific deliveries should be expected. Apps installed on phones may carry information on the individual being monitored, such as their name, address, date of birth etc. If this software was to be hacked, sensitive data could be used for fraudulent activities, placing the employee in question at risk. Any tracking tools used to monitor employees has to be equipped with strong security features, such as user-verification and cutting-edge encryption. This provides peace of mind for individuals undergoing surveillance, and minimises the business’s liability should any negative outcomes befall the worker. However, the technology – be it as an app or a unit installed in a vehicle – would need to be disabled during workers’ downtime. Businesses have an obligation to show employees how to turn surveillance systems off safely, for their own peace of mind (and to protect the business from accusations of spying). According to the Data Protection Commissioner of Ireland, this is essential. Any employees who are notified that their employers plan to start monitoring them using GPS technology have rights. The legal cases referred to earlier are testament to this, showcasing the mistrust that can arise between employers and employees. It’s up to Irish businesses to ensure that all workers are informed of everything surrounding any GPS tracking technology. They should be told why they are being monitored, how it will affect their work (if at all), and how to disable it when required. They should have access to information on any GPS devices used, and how effective its security is. Transparency and mutual respect can make privacy concerns and security weaknesses easier to handle, for everyone involved. GPS tracking can have genuinely practical applications, such as monitoring workers’ fuel usage, productivity, and more, and cultivating an atmosphere of trust will minimise the need for spying or union action. As GPS tracking continues to become more common, businesses across Ireland will need to acquaint themselves with the relevant legalities surrounding the technology. This is in their, and their employees’, best interests.